Sam Pack's Five Star Ford strives toward excellence in the Service Department, having developed a simple philosophy and approach in the repair of Fleet Vehicles. All of our technicians receive constant classroom and hands-on training at the nearby Ford Regional Headquarters. Technicians are allowed to make repairs only in the areas of their certification to ensure proper diagnosis. Repairing a vehicle correctly the first time has great benefits besides more satisfied customers. Some of our regular customers travel considerable distances and are required to drive by other dealerships to reach our facility. Some of our Fleet Partners include Texas Department of Transportation from McKinney, CAREFLITE Emergency Services from Garland and Grand Prairie, Ameritech Ambulance Services from Euless, Hadden Landscaping from North East Plano, James Arnold Construction from Fort Worth, Henkels & McCoy from Lewisville and North Texas Tollway Authority from Plano, Hertz Car Rental from DFW Airport. These are just a few of the many companies that now insist upon their drivers and managers to use the expertise of our highly trained technicians.  Our Fleet Partners and their managers know that a quick turn around time can be expected at Sam Pack's Five Star Ford. We understand that a delay in repair time is very expensive to any company and when multiplied by the number of units in their fleet the expense can become enormous in a short amount of time. Our primary goal is to Fix It Right the First Time and provide the fastest turnaround possible to our Fleet Partners. We ask all of our Fleet Partners to keep in mind that we are as flexible as we need to be to suit their needs. If the need should ever arise for extended hours of operation , as a leader in the service field, will be the first to modify or create changes to better serve our customers. celebrated his 30th anniversary as owner of Sam Pack's Five Star Ford in February of 2010 and has established a commitment through the years towards the highest level of excellence in customer satisfaction in the service industry. Additionally to owning of Carrollton, TX, Mr. Pack also owns in North Richland Hills, of Plano and Ford Country of Lewisville (all in Texas) plus interest in another Texas Ford franchise as well as a partnership in a Lexus, Land Rover, Saab and Cadillac dealership in Tulsa, Oklahoma. Mr. Pack previously served with Ford Motor Credit for 18 years before obtaining in Carrollton, TX. We deliver within a one hundred mile radius of Dallas.